Source: U.S. Central Intelligence Agency. 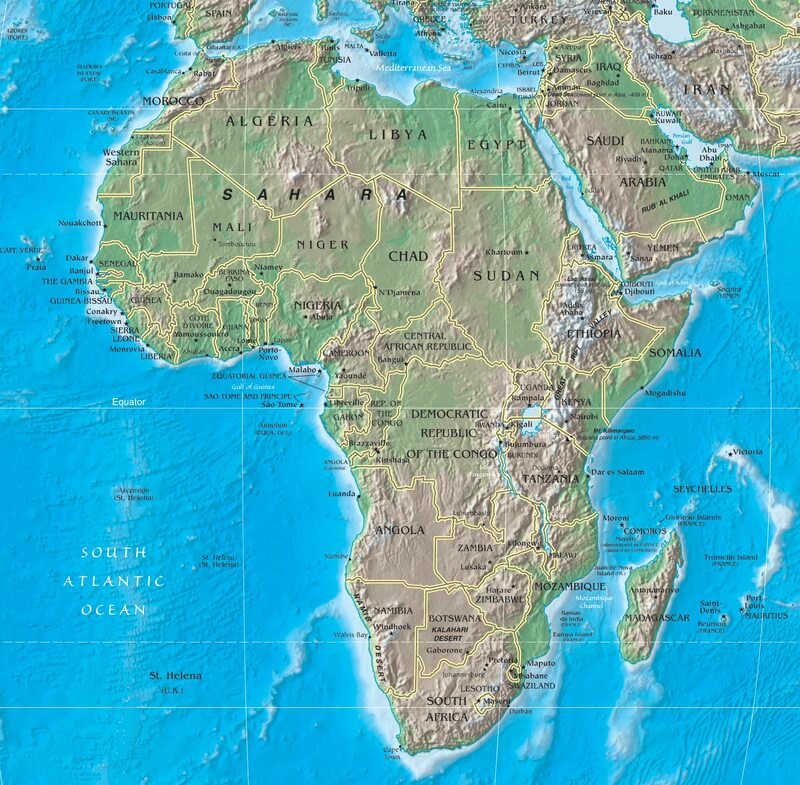 Physical map of Africa continent. Rivers, terrain. Maps of countries, roads, mountains and cities, Atlantic Ocean and Pacific coast. 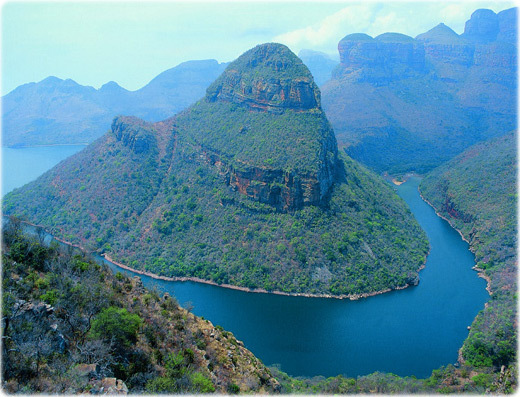 Blyde River Canyon near Graskop in Mpumalanga, South Africa (Photo by Walter Knirr).